SACRAMENTO, Calif. (CN) – Proposing to bring California’s cash-heavy marijuana industry “out of the shadows,” a lawmaker on Thursday introduced a measure that would allow banks to do business with the budding industry of legal pot. The new legislation by state Sen. Bob Hertzberg, D-Van Nuys, seeks to integrate licensed cannabis growers and retailers into the state’s economy by allowing them to open checking accounts with state-chartered banks and credit unions. Hertzberg, who represents nearly 1 million residents in the San Fernando Valley, says Senate Bill 930 would ultimately allow the industry to safely pay its employees, rent and taxes and forgo carrying large amounts of cash. “These businesses handle significant economic activity, yet they are forced to operate under the table and with little government oversight, as if they’re a black-market operation,” Hertzberg said in a statement. Since voters legalized recreational marijuana in November 2016, California lawmakers and regulators have been discussing ways to bring legitimate pot businesses into banks. State officials estimate that the industry could generate up to $20 billion in revenue by 2020. Banks have largely shunned the industry in California and the other 28 states and U.S. territories that have approved some form of legal marijuana, worried about the implications of accepting cash generated from a federally classified Schedule I drug. Proponents of SB 930 say the lack of protection for federally insured banks forces the pot industry to operate on a cash basis and in turn opens it up to criminals. 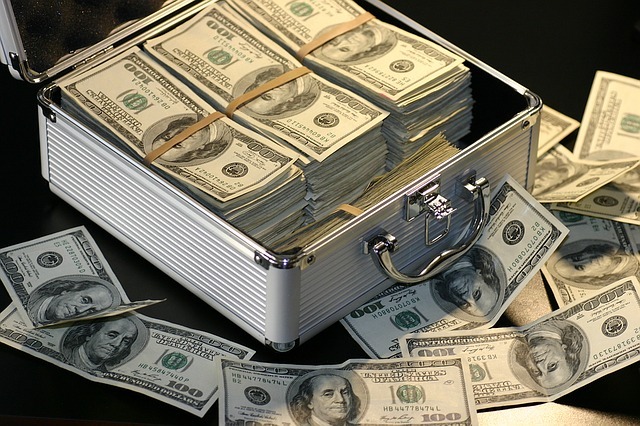 “Paying your taxes with duffel bags full of cash isn’t safe or efficient for anyone involved, but this is the reality for those legally working in the cannabis industry,” said Fiona Ma, chairwoman emeritus of the State Board of Equalization, in a statement. Last week a bipartisan coalition of attorneys general sent a letter to congressional leaders asking them to provide guidance on the lingering banking matter. The law enforcement officials, including California Attorney General Xavier Becerra, want Congress to pass legislation barring federal banking regulators from terminating or limiting a bank’s deposit insurance in retaliation for serving cannabis-related businesses. Hertzberg’s office says industry groups have expressed interest in SB 930 and that he plans to continue discussions with Ma as well as other state regulators.